So I love Cirque du Soleil. I have seen about 10 live shows all over the country. 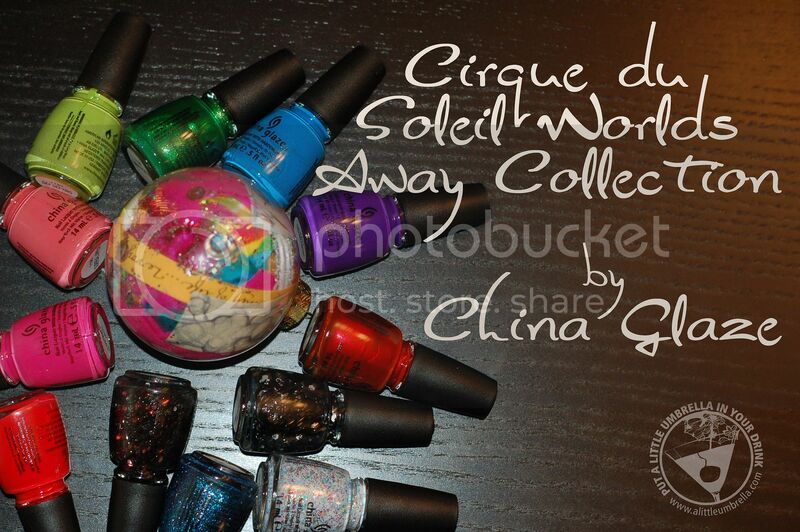 So when I heard that China Glaze was releasing a collection based on the new 3D “Cirque du Soleil: Worlds Away” movie, I was so excited! I am planning on seeing the movie this week and I can't wait. Anything from Cirque du Soleil is sure to entertain, delight and immerse you into a new world. 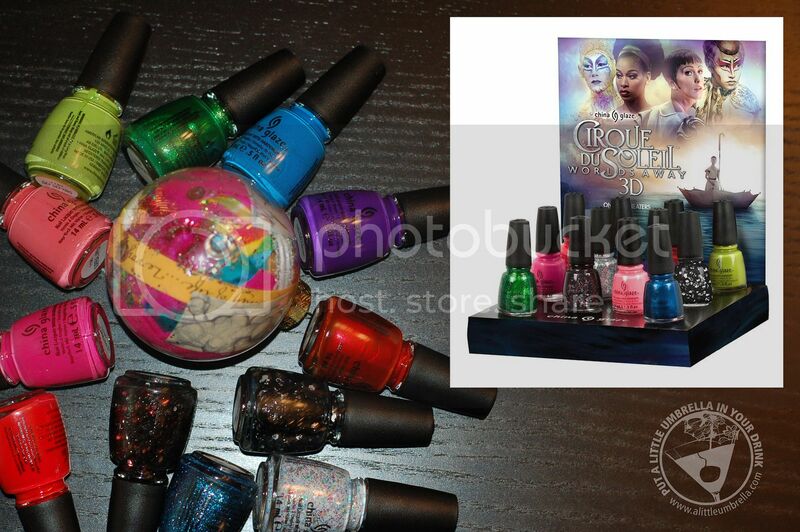 The Cirque du Soleil collection from China Glaze reflects the whimsical theme of the movie. From the big top to the big screen, visionary filmmaker James Cameron and writer/director Andrew Adamson invite you on an all new 3D adventure: “Cirque du Soleil: Worlds Away.” A young couple who is separated must journey through the astonishing and dreamlike worlds of Cirque du Soleil® to find each other as audiences experience the immersive 3D technology that will allow them to leap, soar, swim and dance with the performers. The China Glaze “Cirque du Soleil: Worlds Away” inspired nail polish and eyelash collections will bring to life the wonderfully exotic artistry that is presented throughout the film. 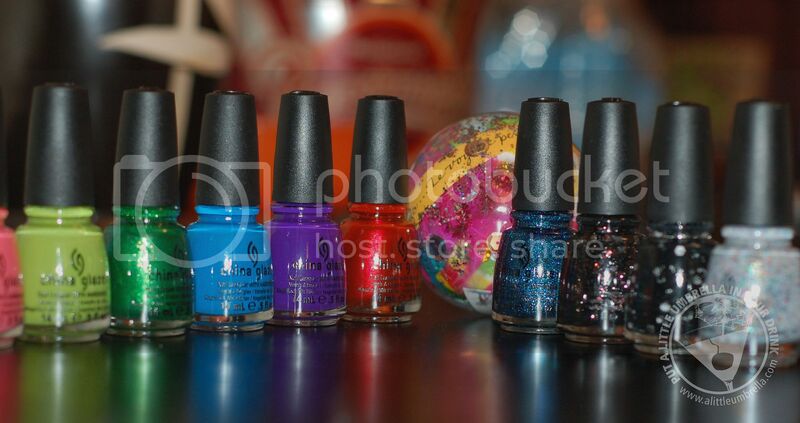 The China Glaze nail polish collection combines rich crèmes, soft shimmers and bold glitters. Look at the beautiful rainbow of vibrant colors! From left to right shown above Igniting Love, Escaping Reality, Surreal Appeal, Def Defying, Running in Circles, Hanging in the Balance, Creative Fantasy and Bend Over Backwards. There are also some fabulous glitters in this collection including It's A Trap-Eze (shown below) which could not be more perfect for New Year's! Let these 12 limited edition shades take you away on your own adventure of beauty! I used Creative Fantasy on my toes and I love it! 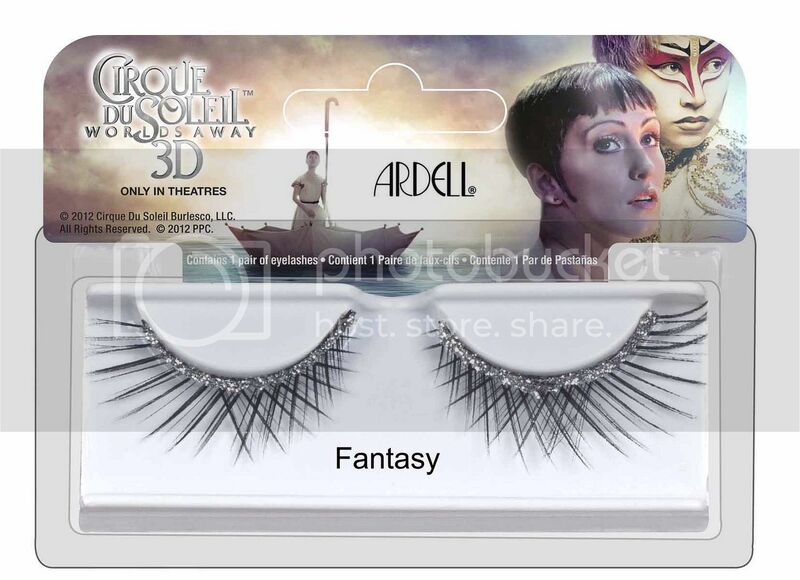 There is also a collection of eyelashes that have been released by Ardell. It consists of six attention-grabbing lash styles ranging from more natural styles to feathers and jewel embellished lash strips. Choose from Imagine, Inspire, Surreal, Fantasy (shown below), Mystical and Daring. So much fun! Get ready to leap, soar, swim and dance in your favorite colors from the China Glaze and Ardell "Cirque du Soleil: Worlds Away" Collections! 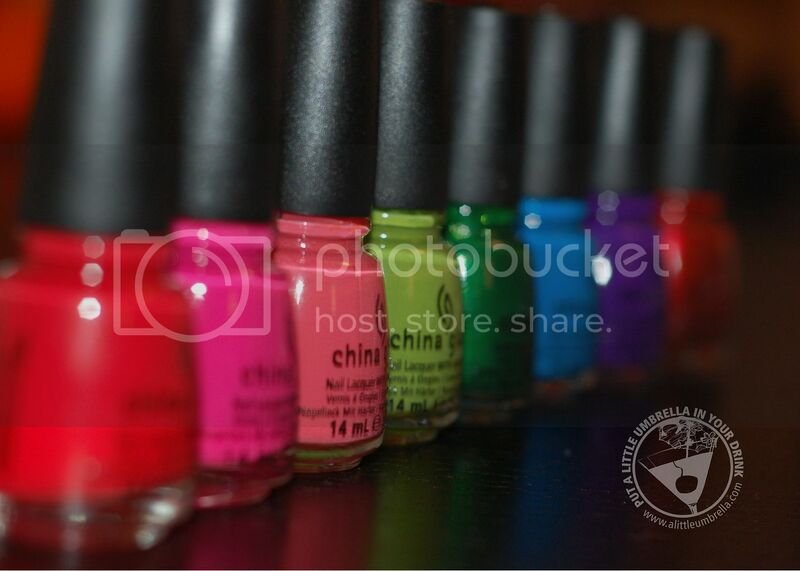 Connect :: You can connect with China Glaze via their website! You can also keep up with them on Facebook, Pinterest and Twitter. Buy It :: The China Glaze "Cirque du Soleil: Worlds Away" collection is available now at fine salons and beauty supply stores nationwide. Disclosure: I did not receive any financial compensation for this post. The information provided in this post came from the sponsor. I did receive free product(s) to facilitate my review from the company or their PR agency. See my full disclosure.